just giving you a heads up: the lovely mandy of miss indie is hosting a giveaway for me! 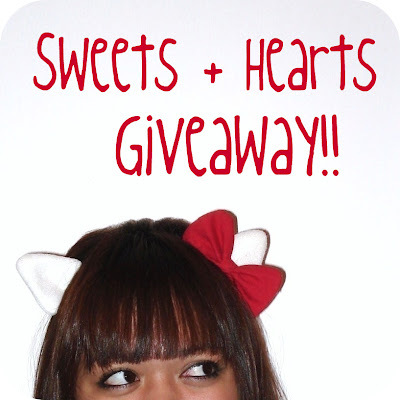 you can win your very own pair of hello kitty ears made by me, just in time for halloween! it ends on saturday, so enter as soon as you can. p.s. sorry for sucking at blog visiting lately. real life has gotten in the way (d'oh! ), aka, my job. i love you and will be checking out your posts soon!